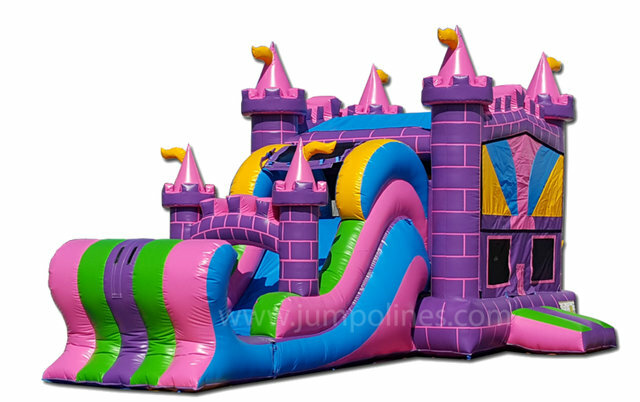 Your beautiful princess will feel the love while jumping in this castle moonwalk. 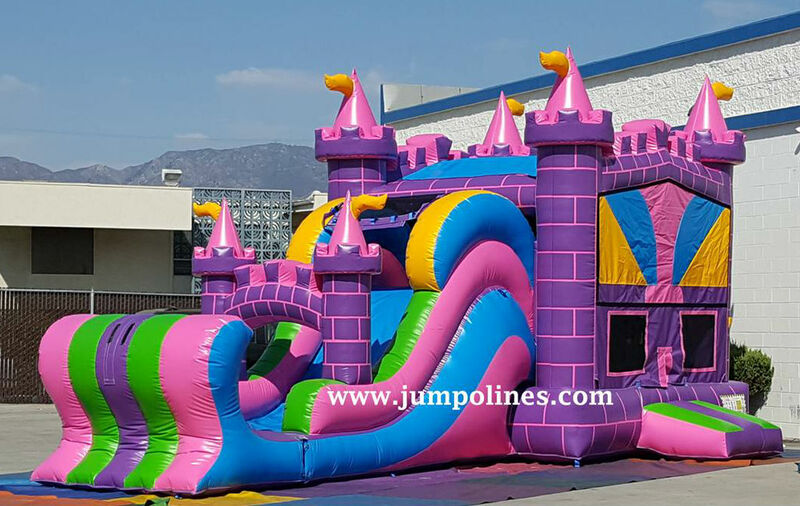 Has a nice jumping space, BASKETBALL HOOP inside along with easy climb steps to the 9 ft tall slide. Perfect for your little Princess. Unit could be set up a a waterside with a pool for an additional fee.